Spencer is the President of the Michigan Beer & Wine Wholesalers Association (MB&WWA) and MBWWA Services, Inc. He is the Association’s chief spokesperson to the legislature, regulatory bodies, elected officials and the media. Spencer joined the MB&WWA in 2006 after holding several State and local positions, including serving as Legal and Policy Counsel to the Republican Caucus of the Michigan House of Representatives. 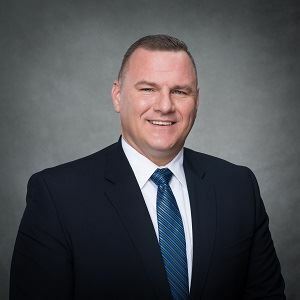 He has also served as General Counsel to the Michigan Economic Development Corporation and as Assistant Prosecuting Attorney in Kalamazoo, Michigan. He holds a BS degree in Criminal Justice from Ferris State University and a JD from The Thomas M. Cooley Law School. Spencer lives in East Lansing with his wife Michelle and four children. Brett Visner is the Director of Public Affairs for the Michigan Beer and Wine Wholesalers Association. His duties include liaison with the Michigan Liquor Control Commission and assisting in advocacy efforts in the state legislature and other agencies of state government. Brett also plays a prominent role in the MB&WWA’s public relations activities and public outreach programs. 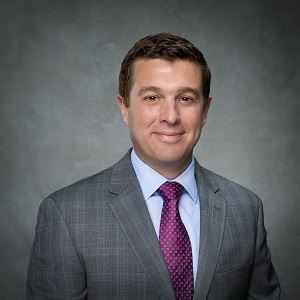 Prior to joining the MB&WWA in 2015, Brett was most recently a senior policy advisor in the House Republican Policy Office, staffing the Regulatory Reform, Energy Policy and Communications and Technology committees. He was previously the legislative director for Speaker Pro Tem John Walsh and political director for the Oakland County Republican Party. He holds a BA degree in Political Science from Michigan State University. Brandi Tribell, CMP, is the Director of Operations & Events for the Michigan Beer & Wine Wholesalers Association. 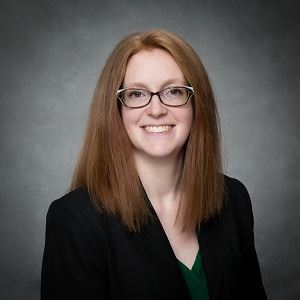 In this capacity, Brandi oversees finances and human resources, is responsible for all lobbying and political reporting and is a key contact for Michigan legislators regarding the Association's PAC activities. As the Association’s chief meeting planner, Brandi is responsible for planning and implementing all meetings and conventions. In addition, she manages the association’s Political Action Committee and assists with the coordination of the association’s grassroots programs; two critical pieces of the association’s successful advocacy program. 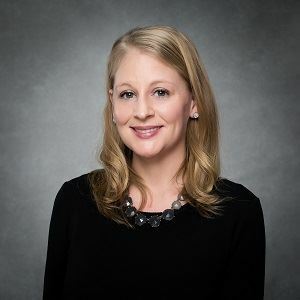 Prior to joining MB&WWA in 2007, Brandi was the office manager for the Speaker of the Michigan House of Representatives and coordinated scheduling, meetings and other events directly for the Speaker of the House. Brandi graduated from Michigan State University in 2003 with a BA in Public Policy & Public Administration. Brandi earned her CMP (Certified Meeting Planner) designation in 2013 and was named to the Michigan Meetings & Events Magazine’s Hall of Fame as the industry’s “Rising Star” in 2013. Elaine Wilson, is the Administrative Assistant for the Michigan Beer & Wine Wholesalers Association. Elaine assists the association staff with several different needs around the office. Aside from managing schedules, databases, and assisting with a variety of communications, she also facilitates events at the Hop & Vine Room. Prior to joining MB&WWA in 2015, Elaine was the Chief GED Examiner at Capital Area Michigan Works! – St. Johns. There, she oversaw one of the 10 largest GED testing centers in the State by volume. Elaine graduated with a BS degree from Central Michigan University in 2008. Autumn Ward, as Director of Member Benefits, is responsible for the development, implementation and servicing of member programs offered by MBWWA Services, Inc. Autumn is responsible for managing staff, coordinating carriers, consultants and vendors, and the membership in the design, implementation, funding, and administration of service programs. Before joining the association in 2018, Autumn served as the subject matter learning, measurement, and improvement resource both internally and externally as Compliance Officer for a Michigan-based insurance agency and third-party administrator. Autumn holds a BS in Business Administration from Ferris State University and a JD from Thomas M. Cooley Law School. Technology and Business Management from Ferris State University. 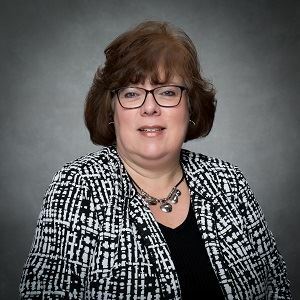 Tonya coordinates enrollment and eligibility for the group insurance program; preparespremium billings; coordinates cafeteria plan administration; aids members with claims issues and assists with the association and the subsidiary’s accounting functions. Before joining the staff of MB&WWA in 1993, Tonya served as a Customer Service representative for Metropolitan Life/General Motors Benefit Center and liaison between the UAW members and providers. She holds an Associates Degree from Lansing Community College.